Mining group Vedanta has poached the boss of AngloGold Ashanti for its new chief executive, filling a role that has been vacant for a year. The FTSE 250 company, which produces commodities such as oil, zinc, iron ore and copper in India and Africa, said Srinivasan Venkatakrishnan would take the role from August. Mr Venkatakrishnan has been with the Johannesburg-listed gold miner for 18 years, the last five as chief executive. 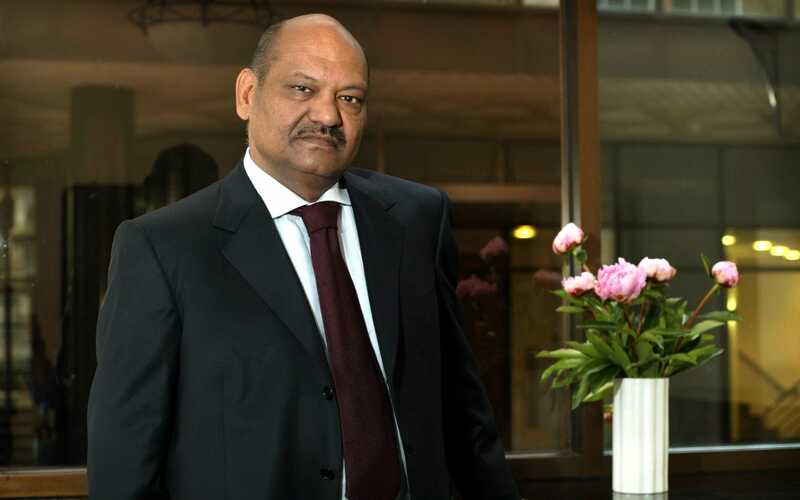 Anil Agarwal, executive chairman and Vedanta’s controlling shareholder with a 69pc stake, hailed Mr Venkatakrishnan’s “strong track record managing a complex portfolio of operating assets and projects across Africa”. Mr Venkatakrishnan has won plaudits for completing two major mining projects for AngloGold while attacking the company’s debt pile. Analysts applauded the appointment, with Investec describing the move as a “good man leaving for bigger things”. The role has lacked a permanent appointee since former chief executive Tom Albanese announced his intention to leave Vedanta last March, handing over to Kuldip Kaura in August on an interim basis. Mr Kaura, himself a former chief executive of Vedanta, will stay in the role until the new boss joins. Mr Agarwal, a self-made billionaire who started as a scrap metal dealer, has made no secret of his desire to build Vedanta into an India-based mining titan to compete with the likes of BHP Billiton and Rio Tinto. He retains a strong grip on the company’s strategy, recently undertaking moves to consolidate and merge parts of his sprawling empire to make it more accessible to investors. One of Vedanta’s quirks is that two of its subsidiaries - Hindustan Zinc and the confusingly named Vedanta Ltd - both have market capitalisations much greater than the London parent, at ?14bn and ?11.4bn respectively. Vedanta Resources has a valuation of around ?1.9bn. Vedanta’s many divisions include a power business in India supplying thermal and renewable energy to businesses and homes. Its Cairn India arm also produces around 26pc of the country’s crude oil. Vedanta is also busy building a giant new zinc mine in South Africa. Mr Agarwal stunned the mining industry last year when he bought a 21pc stake in rival Anglo American in a complicated transaction that means he holds the stake on loan. He has said the purchase is a personal investment for his family trust and has so far kept quiet about whether he will push for changes at the FTSE 100 miner.